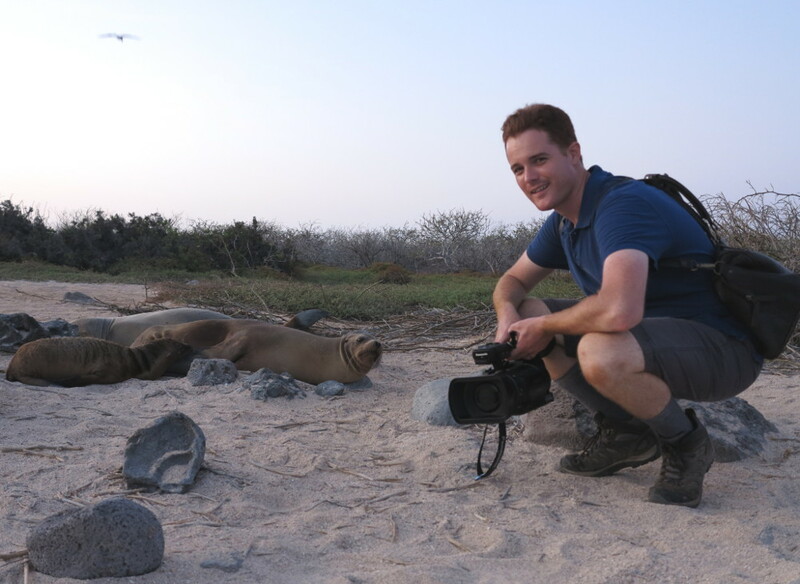 Our trip to the Galapagos was one of the best we’ve ever been on and one of our favourite parts of the adventure was visiting North Seymour Island, which is where you can find most of the famous birds of the Galapagos. A short ride on a ‘panga’ (dingy boat) from our luxurious catamaran the Seaman Journey brought us to North Seymour. 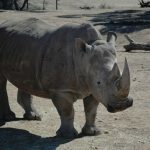 We were the only group visiting the island and it was magical to share it only with the wildlife. 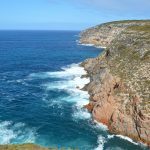 North Seymour is only about 2km in length and very flat, so it’s an easy hike around the island. Because we visited towards the end of the day, it wasn’t too hot either, and we caught the picturesque sunset. Our guide Geoff, who was born and raised on the Galapagos, was very knowledgable and told us many interesting facts about the birds as we explored for around two hours. The blue-footed booby is my favourite bird and North Seymour is full of them. 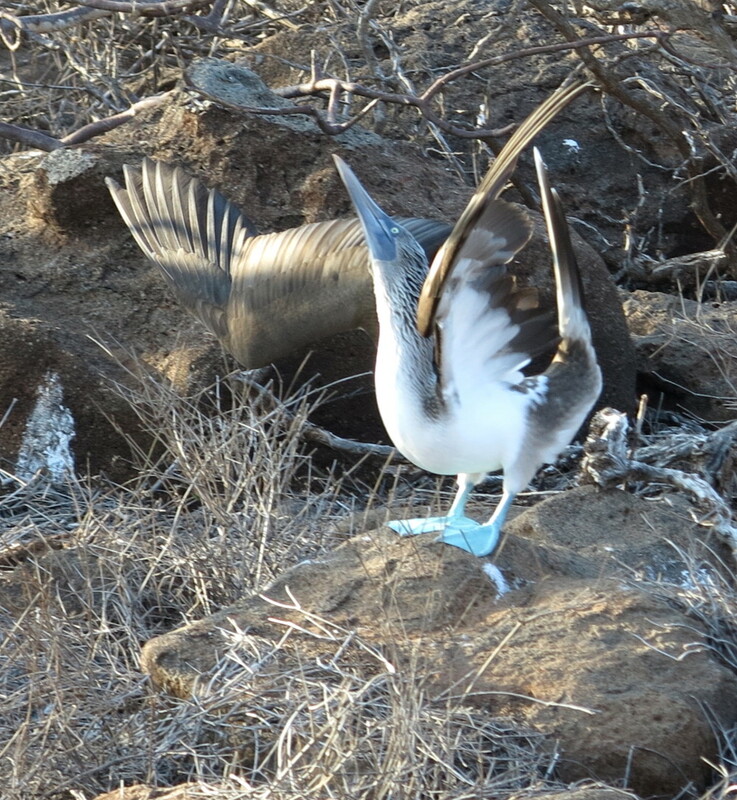 April is part of their mating season and so we got to witness the ‘mating dance’ where the male blue-footed booby lifts his bright blue feet one at a time before pushing his wings into the air and whistling – watch the video to see what it’s like! If the male is successful then the female will lay one to two eggs a season and both parents will care for it until it hatches, and then look after the chick for a further two months. 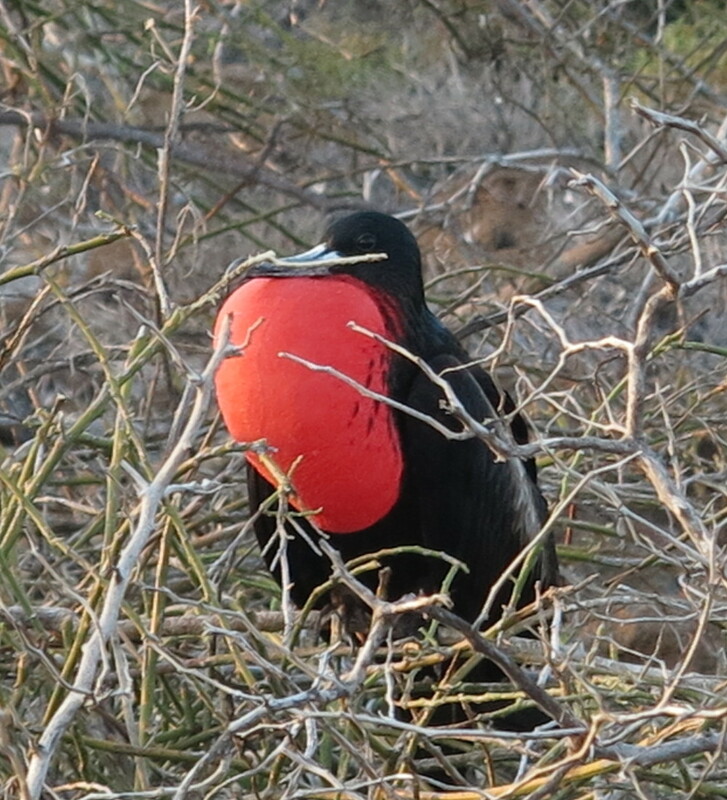 There’s no doubt the booby has a funny name and Geoff told us this is because the Spanish named them Bobo (clown) because they wouldn’t even try to fly away when they caught them. The English had trouble pronouncing this word though, so bobo soon became booby. The magnificent frigates are all over North Seymour and they’re fascinating to watch as they do their mating rituals as well. 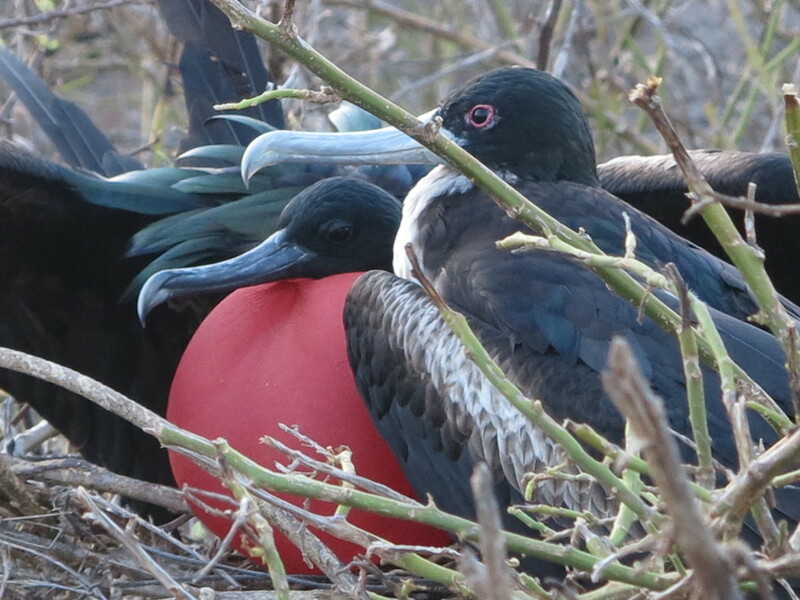 The males puff up their chests with a red balloon that swells and then they rub it in the female’s face. 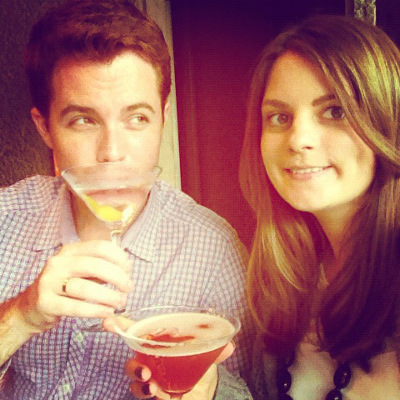 Once they find a partner though, they mate for the season as monogomous birds. The frigates are cheeky because rather than hunting and nest-building independently, they often steal from the boobies and other birds. But this doesn’t mean they’re not capable to look after themselves – they actually have the largest wingspan to body weight ratio of any bird and when they fly they hardly flap their wings, they just seem to glide everywhere. The swallow-tailed gulls are unlike any other gull because they’re fully nocturnal and catch squid and small fish that come to the sea’s surface at night. 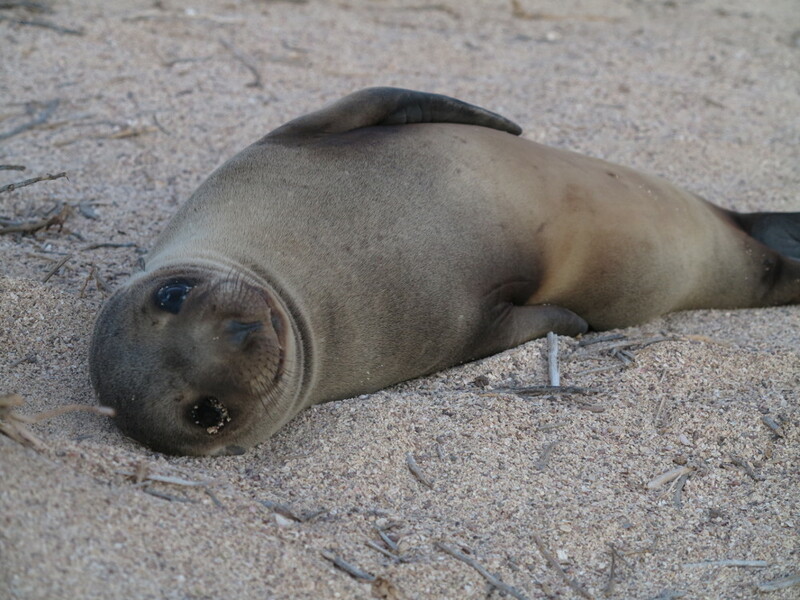 They have red rings around their eyes which helps to reflect light and allows them to see more clearly at nighttime. 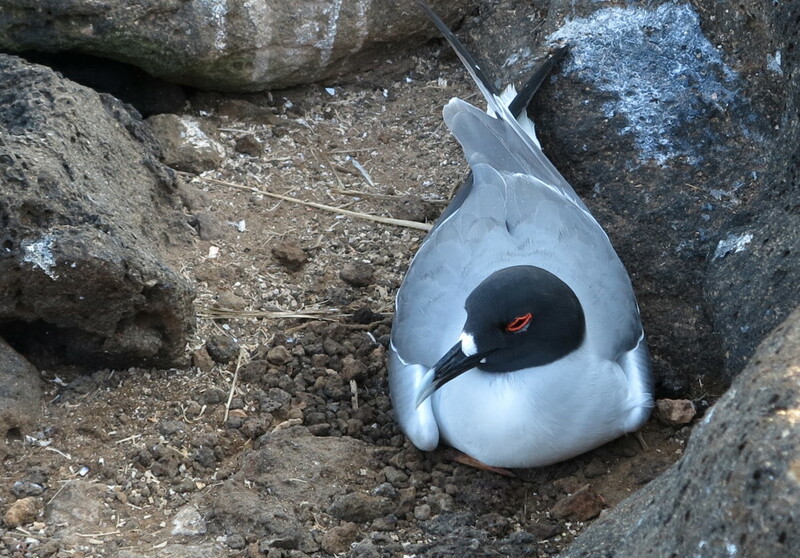 The swallow-tailed gulls are near-endemic to the Galapagos, although their are a few that nest on an island off Columbia. I could watch these reptiles for hours. The land iguanas on North Seymour are yellow in colour and some we saw were shedding their skin. They mostly eat the prickly pear cactus and can fight other iguanas for the food when it falls from the plant. The males can also be quite territorial and we saw a few chasing others away when they overstepped into their area. 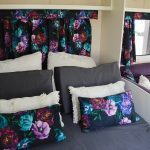 You can visit North Seymour from either a live aboard cruise boat, like we did with the Seaman Journey, or you can take an organised day trip from Santa Cruz island – just inquire at one of the many travel agencies for prices. 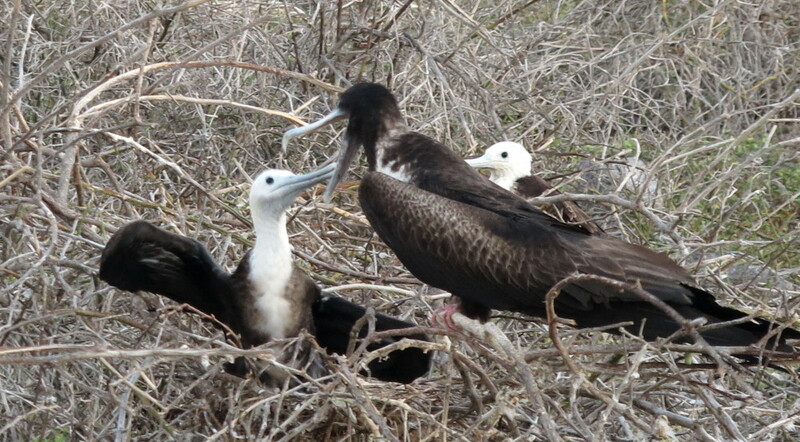 Many thanks to the Seaman Journey, which provided us with a complimentary four day tour of the Galapagos Islands. Our first day aboard the luxury Seaman II catamaran on the Galapagos and we were off to visit North Seymour island. Home to many unique birds, like this swallow-tailed gull, we spent a good couple of hours exploring the island. 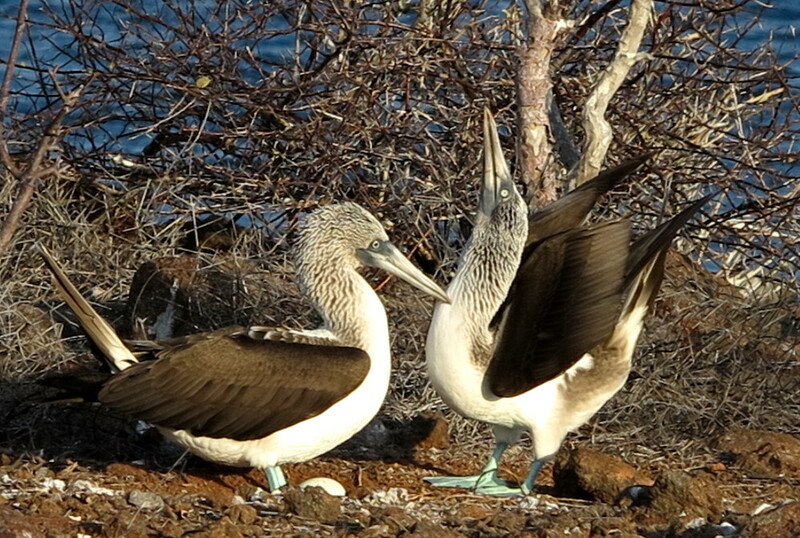 My favourite bird was the blue-footed booby and we were lucky enough to see the males perform their mating dance. This male found success and he’d already built his nest with his partner who’d laid an egg. North Seymour is also home to land iguanas who are very territorial – this male was getting chased away by another iguana for trespassing, our guide Geoff explained to us. Another interesting bird is the frigate and this female was sought by a male who puffed out his red chest to attract her attention. The male frigates shove their chests in the females faces to impress them. If successful, they’ll have a chick that they’ll look after for nearly a year, taking it in turns to babysit and feed them.